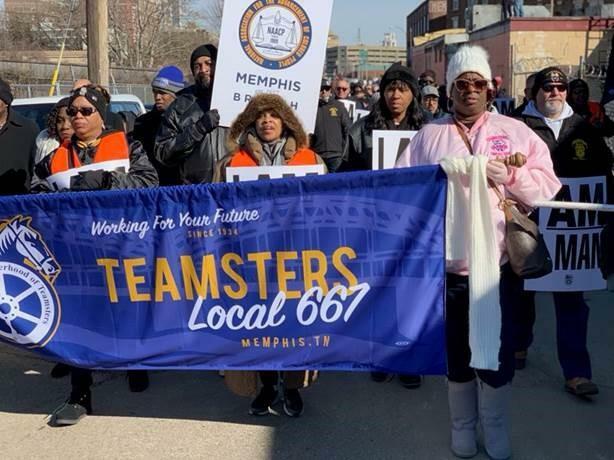 Women are taking more prominent roles in political activities, including this pro-union march last Monday in Memphis, held two days after a women's march. Last weekend, women nationwide united once again for a series of marches to protest the policies of President Donald Trump. For two years, women have channeled revulsion into action, launching political careers that have already changed the dynamics of many courthouses and statehouses. This week, political analyst Otis Sanford says Shelby County voters should expect to see even more women candidates on ballots in the future, likely running for top offices such as Memphis and Shelby County Mayor. Sanford says that African-American women, in particular, have a compelling argument for seeking leadership positions in Memphis: in a black majority city where more women vote than men do, women actually have the numbers to make even bigger strides in local politics. Political analyst Otis Sanford discusses politics for the week of Jan. 20-26, 2019.